With the aim of simplifying the menu, Dunkin' Donuts is getting rid of about 10% of their menu. 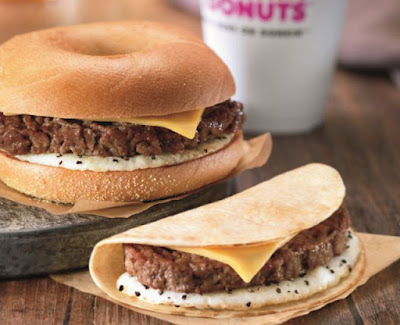 According to the Boston Herald, the items to be discontinued include smoothies, afternoon sandwiches, the Big N' Toasted, the Angus Steak & Egg breakfast sandwich, flatbread items, some previously optional muffins, bagels, and cream cheese, and peach, caramel, and mocha coffee shots. The chain hopes the pared-down menu will result in faster and more accurate service. The items are being discontinued this week in New England and will be gone nationally by mid-March.